Cooler Bags Johannesburg are a great way to get out there and enjoy the South African countryside with your very own picnic. Cooler bags are that South African Essential that you make braais, going to the beach and public pool such awesome events. 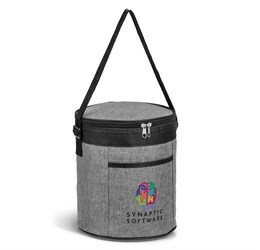 A cooler bag is that awesome insulated bag full of goodies that adults could reach into and magically pull out sweets and fruits or cool drinks from when you were a kid. Of course it was all longer arms and specialised packing that made it feel like magic but when you’re on the hot sand of the beach, a cool drink can work wonders when it comes to perking you up to have another go in the waves! All thanks to Cooler Bags Johannesburg! Cooler Bags Johannesburg -The public pool is another awesome location for a cooler bag. Sitting on your towels and having a cool snack when you come out of the water, dripping with chlorine and none of the sand to get stuck to you. A picnic is the kind of place where everyone coming brings their cooler bag and brings something to share with everyone. 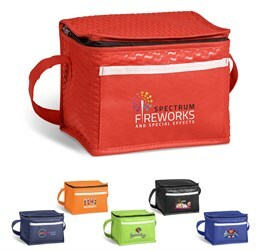 A cooler bag can be instrumental in bringing people together and it makes such an awesome addition to any gathering of family or friends. 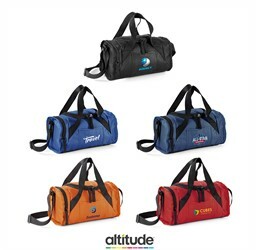 A cooler bag is a great thing to have when you reach the summit of your climb and you can sit down and enjoy a nice, cold drink. 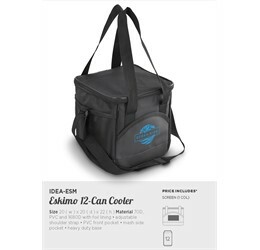 6 Can Cooler Bags – Cooler bags, like most things, come in a whole different range of sizes. 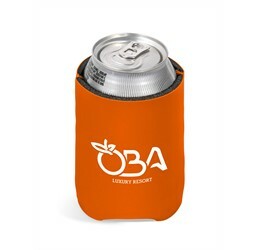 The unit of measurement used to measure the capacity of a cooler bag is cans. Yup, cans, as in a can of coke. The standard volume of a can of cool drink is 330ml. And since it is a standard volume that is used all over the world, it makes it a good unit of measurement for a bag that will also be used all over the world. By measuring in cans, you have an easy to understand, easy to visualise capacity for your bag and a great way to let people know that. 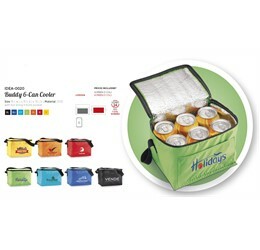 A standard lunchbox cooler has a capacity of 6 cans. 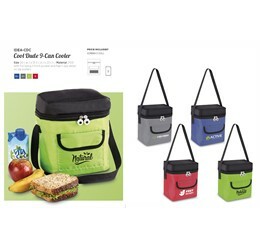 These 6 Can coolers are awesome for lunch boxes or small picnics. 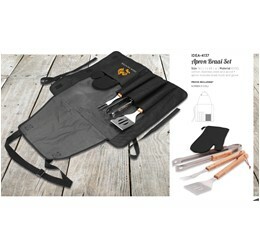 They’re also an awesome place to store your meat when you’re going to a braai or a picnic so that you don’t get any meat on your other food stuff or drinks. 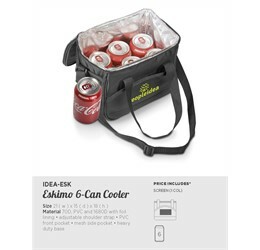 Great for isolating things like meats and salads, you can also fit a 6 pack of your favourite canned drink into this bag so that you can drink it when you get there and keep it cool for the whole day in a 6 Can Cooler Bag. 12 Can Cooler Bags are the larger siblings of the 6 Can Coolers. 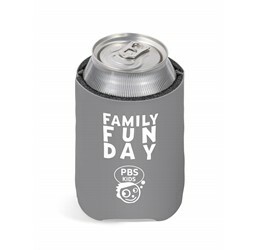 They have double the capacity and make for awesome companions when you’re going on a picnic or on a day trip. A 12 Can cooler is the kind that you can fit a couple of litres of coke in for a party. Along with that salad and all the meat and rolls that you brought with. A 12 can Cooler is a great accessory to bring with you for a braai because you’ll be able to bring everything you need plus a Tupperware for all that meat that the braai master swore blind would get eaten that night but is probably going to be eaten the next day as a component of breakfast or lunch. Heading from Sandton to Centurion for a get together? 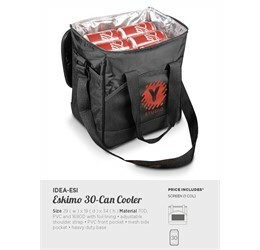 You’ll be in good stead with our 12 Can Cooler Bags. 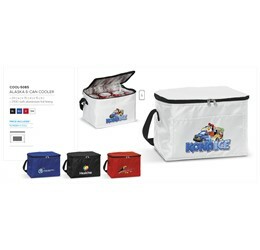 Sports Cooler Bags are a great addition to every sporting event from school to university and on a professional level too! 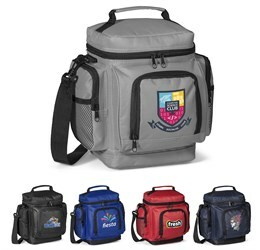 A sports cooler bag allows the team to enjoy cool water at half time or after the match even when they’re playing in somewhere that doesn’t have a fridge. 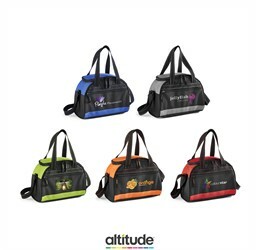 A Sports cooler bag is one of those really amazing tools that can make the whole process that much easier. One bag for all the water, keep it cool and hand it out to the players when they need something to drink. Water is an essential part of playing any sport. When you’re out there working up a sweat, you’re losing water and dehydration can not only slow you down and hurt your internal organs, it can also give you a headache. In South Africa Dehydration and Heatstroke tend to hang around fairly close to each other, especially at sports matches so it’s a good idea to have a supply of plenty of cool water easily accessible in your Sports Cooler Bags. Cooler Backpack – the ultimate accessory for anyone who likes hikes and picnics and hates carrying things in their hands. 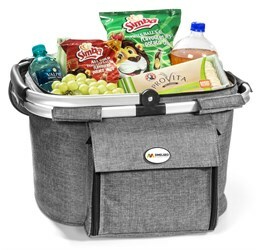 A cooler backpack allows you to take your awesome picnic with you wherever in nature you happen to be going and leaves your hands free so that you can explore and touch everything that you can, hold your significant other’s hand, help a child or even hold a walking stick if that’s how you like to do things. If you’re walking more than one dog, a backpack allows you to keep your weight centred and gives you your hands free so that you can be prepared for any eventuality. Cooler Backpacks are great for travelling! 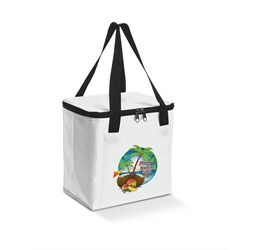 Wine Cooler Bags are an awesome branded product! 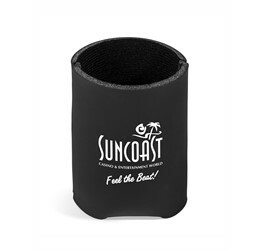 They make for wonderful promotional gifts, especially if there is wine in them when they are given. Depending on the vintage, that could also make for a very nice executive gift. 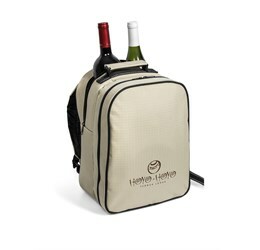 A wine cooler bag makes the perfect pairing for a romantic picnic or evening concert. A bottle of wine can often go very nicely with a picnic and is a great way to help set the mood when you’re on a date. 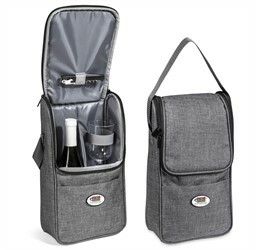 As wine is a very popular gift in South Africa and different wines need different temperature controls, giving a cooler bag with a bottle of wine can be a good indicator that it’s best enjoyed cold. Whether you should go with the red or the white, that’s entirely up to you. 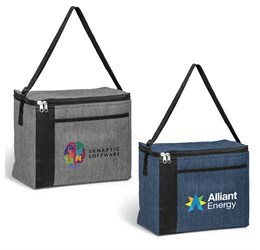 Cooler Bags as a Marketing Product – Cooler Bags are products that go everywhere. To beaches, on holiday, to parties, to school and to work. That’s what makes them such wonderful marketing products. 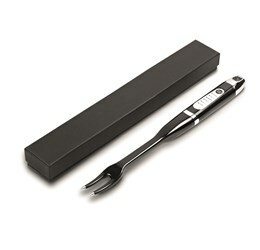 They can be branded easily, they see every day use and they’re the kind of practical gifting item that everyone needs. 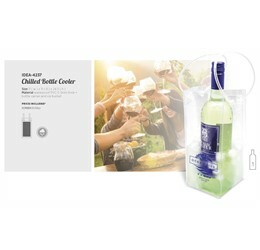 With a cooler bag, you brand can be seen everywhere, and usually in large gatherings of people. 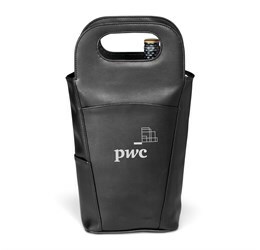 A brand on a cooler bag is also an identifying factor. Brands are after all excellent identifiers. “Is that your x branded cooler?” Why yes it is, it looks awesome and that’s where the guacamole is if someone would be so kind as to get it out. Serving chips and dips is the least important part of that sentence. A brand is something that people will use as a descriptor. If it’s not one that they’re familiar with then they may very well ask. 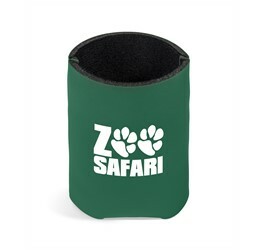 And if it was a promotional item then you may be more inclined to give a favourable review of the brand. It has been proven that people who receive promotional products are 6 times as likely to feel personally valued by that brand and twice as likely to support them in some form as clients who only engaged with media about the brand. How to Pack a Cooler? Surely you just throw your stuff into the bag and go? Not quite. Here are a few tips for optimal cooler packing so that you can get the most out of your cooler bag. First of all, pack your meat, drinks and other foods separately if you can at all help it. Raw meat can contaminate other foodstuffs if it leaks on them, and constantly opening and closing the bag in search of a cool drink is going to defrost everything a lot faster than you really want anything to defrost. Secondly and as regards to spillage, get a load of vacuum seal containers. Like Tupperware. Anything that you can lock that is leak proof. Ziploc baggies are also super useful when it comes to this. Seal your food away. Try to match the volume of food to the volume of the container so that you don’t end up with six steaks popping out of their box and three sultanas rattling around in what is probably the equivalent size to raisin- Notre Dame. Chop up your fruit and put it in boxes and bags and take a permanent marker and label everything. Because chances are once it’s nice and frosty you won’t know shrimp from crabsticks. Thirdly, speaking of shellfish. And everything else but especially shellfish. Freeze (meats, shellfish, vegetables that aren’t potatoes) or chill (cool drinks, potatoes, on the go snacks) everything for at least 24 hours before you stick it in the cooler. This will help it stay cooler for longer. Also the reason potatoes aren’t frozen is because they have a really floury, gritty texture when they’re unfrozen. It can be done, but it’s up to you. The power is in your hands. Once everything is chilled and labelled, it helps if you cool down your cooler bag first. This can be done by throwing a bag of sacrificial ice into your clean cooler, letting it chill there for an hour or so and then throwing that out somewhere. Alternatively, you can keep a few non-essential ice packs in there for the same duration and then trade them out for the ones that you’re going to be taking with you on the trip. The last step in this process is actually packing the cooler. And this goes really well if you’ve followed step two and put everything into boxes. 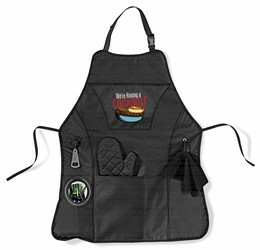 Put all your heavy things at the bottom, like your meats and your high volume containers. If you’re packing your drinks with your meats then this is where they go too. Once that’s done you can put your lighter containers on top. Lastly, a couple of very light snacks like energy bars and things in Ziploc bags. Cooler Bags South Africa are a beautiful product. They’re super useful and applicable in many spheres of life. They’re also not quite what they used to be back in Ye Olden Times. That is, 1953 when they were patented by Richard C Laramy, an America. Mr Laramy invented the cooler box in 1951 and to start things off, it was a very heavy, metal ice box made of steel. This was because metal made for a good insulator, and as it was packed with ice, it kept things cold. Which was all fine and dandy but lugging around a sold steel bock packed with ice is bound to put you back out if you do too much of it. So back to the drawing board to make a new, lighter and more portable ice box. This came about as the cooler box, which is two plastic shells sandwiched around a Styrofoam filling. This Styrofoam was a great insulator and a lot lighter than twenty kilos of metal casing. That method of cooler box creation has held steady up until the modern age and when we get a hard shell cooler box, they’re still made that way. However, for a more light and portable, every day cooler bag, say one that we can use to take our lunch to work instead of on holiday or to the beach, we have the cooler bag. 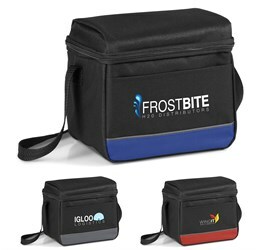 Instead of heavy plastic the cooler bag uses lightweight foams and foils coupled with synthetic fabrics to create the perfect, portable bag that is able to regulate the temperature of your food, keeping it warm or cool depending on your needs (though only one at a time). 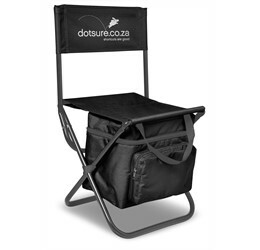 Cooler Bags Johannesburg are an excellent promotional item as well as a beautiful corporate gift. 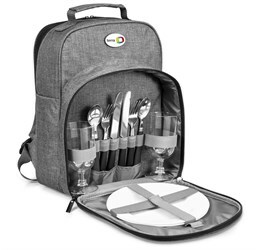 We have a range of cooler bags that extends from everyday lunch coolers to stunning executive picnic coolers that come with their own cutlery and crockery. A cooler bag is a way to bring people together from all suburbs and all areas. 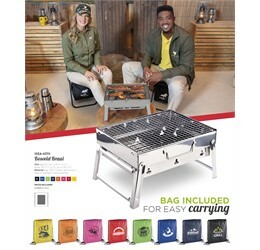 Whether you’re just chilling with friends or having a huge family braai, a must have item for your get together are our beautifully branded Cooler Bags Johannesburg.